In recent years, as H.B. 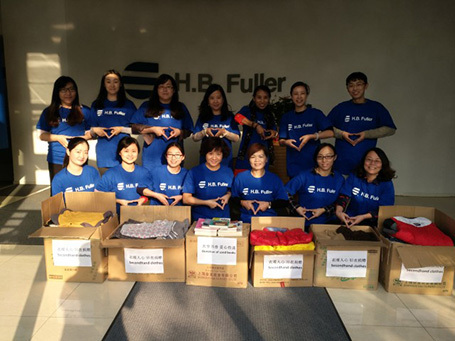 Fuller has expanded our business in China, we also have increased our investment in giving back across the region. We support our commitment to community through philanthropic giving and employee volunteering in China. Each year, the H.B. Fuller Company Foundation makes multiple grants to nonprofits supporting youth education in the communities where our employees live and work. Employees at our facilities in China also have participated in our annual Make a Difference volunteer campaign for the past eight years, organizing projects ranging from environmental cleanups to leading art projects with local students. Employees who volunteer in China have enthusiastically embraced these opportunities to give back, and are now inspired to deepen their involvement. 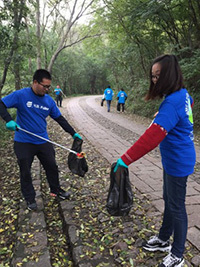 Through our Community Affairs Council (CAC) model, employees at our locations across China have chosen to take their commitment to volunteering to the next level. In 2017, there will be four new Community Affairs Councils for volunteering in China, at our locations in Beijing, Guangzhou, Nanjing, and Suzhou. Employees who join these Community Affairs Councils will have the opportunity to manage employee volunteer projects and help identify nonprofit organizations to support with contributions from H.B. Fuller. We are excited to see the commitment to community and positive impact that our passionate employees will make this year. Learn more about our commitment to community by following #HBFullerCares on social media and by visiting www.hbfuller.com/community.